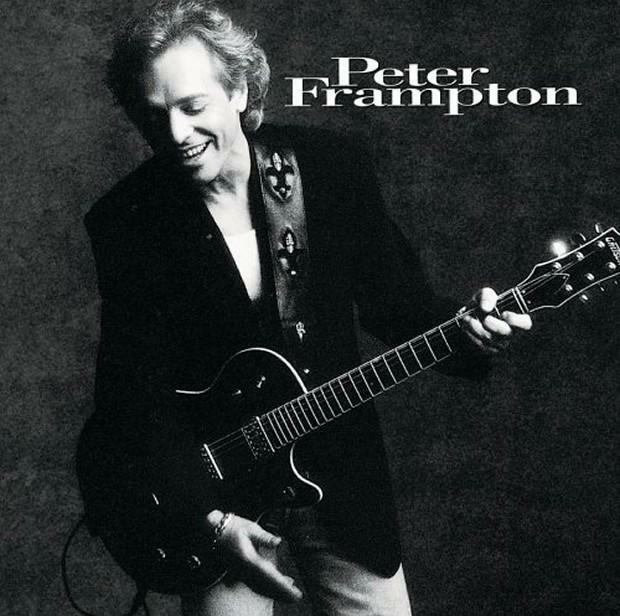 The winds of change are indeed abound – it’s not just Peter Frampton who has itchy fingers and butterflies. And, it seems like those who don’t embrace the furiously swirling zephyr with zeal will be trapped in a desolate, barren and outdated landscape of solitude. According to enterprise IT research and advisory firm, Forrester Research, traditional Business Intelligence (BI) solutions and project management techniques are swiftly becoming outdated and are being abandoned in favor of more agile, business-user-oriented, self-service initiatives. In June’s blog post – Rethinking Business Intelligence – we touched on Forrester’s recent research report, The Forrester Wave: Self-Service Business Intelligence Platforms, Q2 2012. The report, authored by outspoken BI analyst and industry commentator, Boris Evelson, intimated that organizations need to adopt user-friendly BI software, as well as self-service implementation and management methodologies, to enable the full breadth of potential organizational decision-makers to benefit from the ability to independently access, understand and act on information gleaned from reporting and analytics. Evelson even proclaimed that the vast majority of BI requirements and initiatives should be established and carried out by the specific business units – as opposed to the IT department – and users benefiting from new report types and BI applications. “We maintain that in an ideal BI environment, 80% of all BI requirements should be carried out by the business users themselves,” wrote Evelson. The emergence of the notion of ‘self-service’ is inextricably linked to the continued consumerization of BI – the inclusion and development of user-friendly features and functionality making reporting and analytics accessible to a wider array of users – which will ultimately generate more widespread user adoption and better BI Return on Investment (ROI). Gartner’s June 2011 report – The Consumerization of BI Drives Greater Adoption – stated that the consumerization of BI had resulted in a new breed of end-user focused BI solutions, capable of delivering faster, more relevant results to business people of all backgrounds, and a better ROI. The report also suggested that this trend marks “arguably the biggest shift in BI adoption since the rise of enterprise-class BI platforms in the late 1990s”. 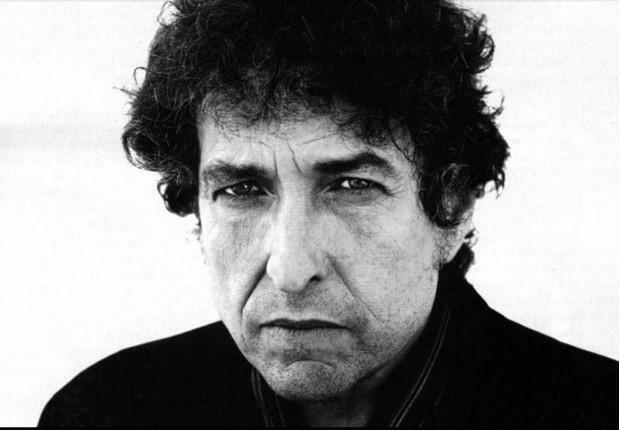 Oh how things have changed; in a Dylan-esc way. It was only back in 2009 when Forrester Research released the findings of a survey of 82 IT decision-makers in which a mere 18 percent said that their current BI solution enabled “reports and dashboards to be created by any end user with limited BI skills”. In stark contrast, the 2012 edition of Dresner Advisory Services’ (DAS) Wisdom of Crowds Business Intelligence Market Study implied a strong drive towards consumer-oriented and self-service BI technologies. The survey, based on 859 responses from professionals with first-hand experience using vendor products and services, analyzed major marketplace trends of 2011 and assessed user perceptions towards BI for the coming year. Vendors in the “Emerging” sub-group are widely regarded as those that have embraced and built business models – from the ground up – around providing self-service reporting and analytics options for business-users. BI players from the “Titan”, and to some extent the “Large Established Pure-Play”, vendor sub-group are commonly thought of as more ‘traditional’ BI traders. Interestingly, none of the “Titan” organizations were amongst the “Top 10” vendors for any of the study’s seven comparative categories. Further, three out of the four worst overall rankings came from this study sub-group. Conversely, four out of the five best overall rankings came from the “Emerging” vendor sub-group. 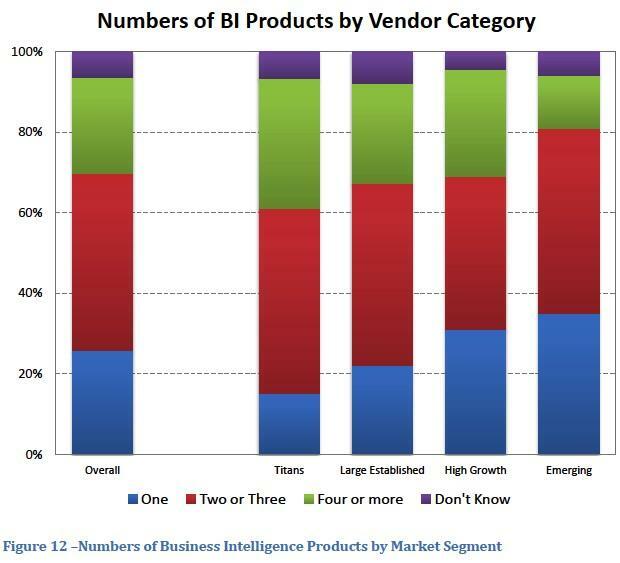 The eight least recommended BI vendors all came from the more traditional BI players within the “Titan” and “Large Established” vendor sub-groups. And, in terms of “quality and usefulness of product”, seven out of nine of the new-generation vendors from the “High Growth” and “Emerging” vendor sub groups achieved product ratings of four or better out of five. 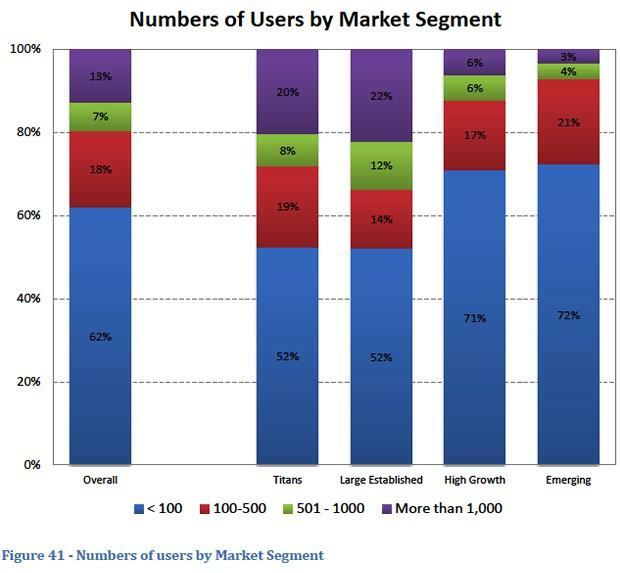 Conversely, only one out of eight vendors across the “Titan” and “Established” vendor sub-groups achieved a product rating above four. Self-service BI replacing traditional BI? 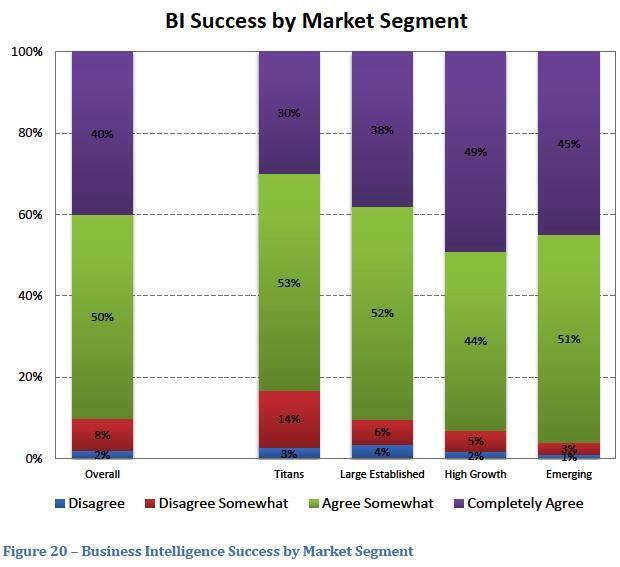 The 2012 Wisdom of Crowds BI Market Study revealed a perfect trend when dividing respondent organizations by whichever sub-group their primary BI vendor was categorized. The results suggest that many organizations with long (or at least longer)-established BI programs, and hence more ‘traditional’ BI tools, are now turning to new self-service-oriented BI technologies. “… we observe that the trend towards fewer Business Intelligence tools progresses from left to right with ‘Titan’ customers reporting the greatest number of tools and ‘Emerging’ customers the fewest,” stated the report. Self-service BI delivering better, timelier, business insights? Ninety-six percent of organizations that utilize a BI solution from the “Emerging” vendor sub-group report BI success compared to 83 percent of corporations using technologies from the “Titan” sub-group. Lastly, BI deployment sizes amongst the “Emerging” and “High Growth” sub-groups suggest two things – other than the fact that the technology is newer. And gives credence to the imputation that many organizations utilizing more traditional IT-centric BI platforms are complimenting (if not replacing) them with new-generation end-user-oriented BI solutions. 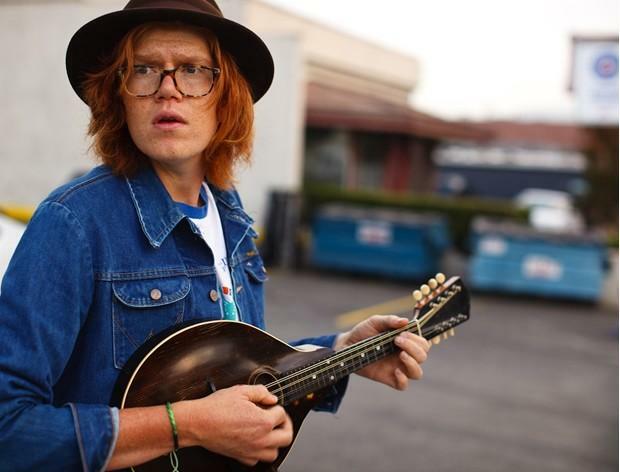 In the words of Maroon 5, J. Cole, The Living End, Echo & The Bunnymen, Girl’s Day, Brett Dennen and many more: Nothing lasts forever. 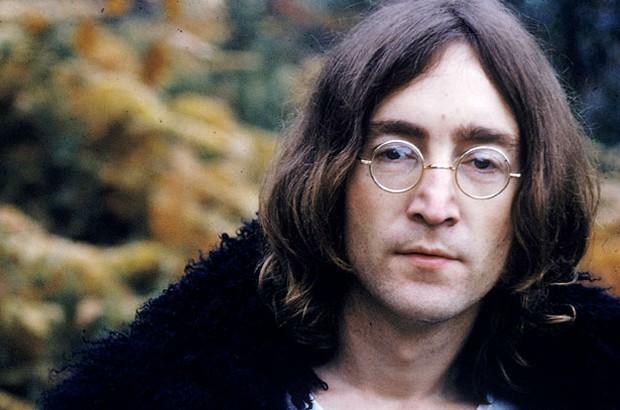 And so, it wont happen today, probably not tomorrow or even next year; but, traditional IT-centric BI platforms are doing a John Lennon – living on borrowed time.